We regularly update our gallery with beautiful works, and they're available to buy! SMART is organized to use art to break the potential barriers between the able and disabled. We do this by introducing the artists and their works at Community events and galleries where communication and appreciation begin. Your donation links you to the artists in your community. We would be delighted to have you join us as a volunteer. 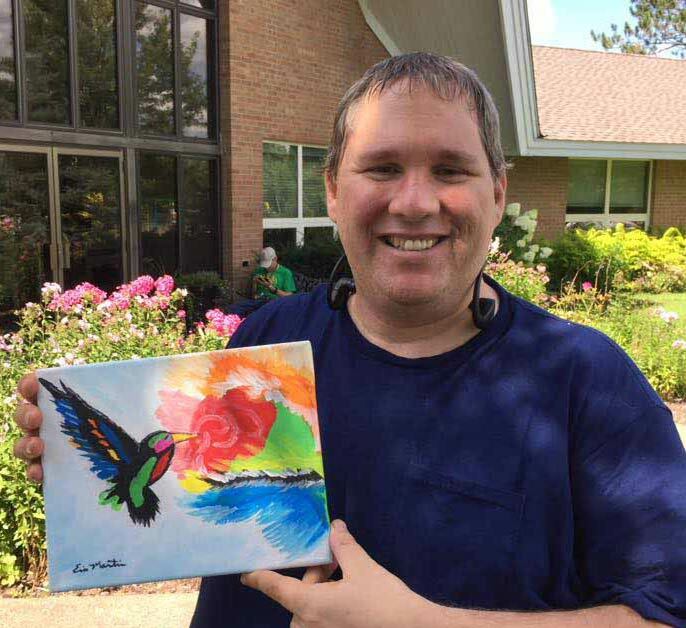 Anyone with an interest in art and a disability is welcome.